In today’s social media reality, one’s career and portfolio have become, in many ways, public property, only a Google search and a LinkedIn page away. With 575 million worldwide users and executives from all Fortune 500 companies as members, LinkedIn is THE most powerful and productive professional networking platform. Numbers speak for themselves. One in three professionals are on LinkedIn and 25 million LinkedIn profiles are viewed daily. LinkedIn serves as much entry-level graduating candidates as it serves senior professionals of all fields. To some extent, LinkedIn profiles have replaced business cards and resumes in serving as a successful gateway to professional networking, career shifts, personal branding and job seeking at all stages of one’s career. In this article, we explain why you should make LinkedIn your primary contact management system and why you should be using the social network new QR code feature to continuously expand your network. 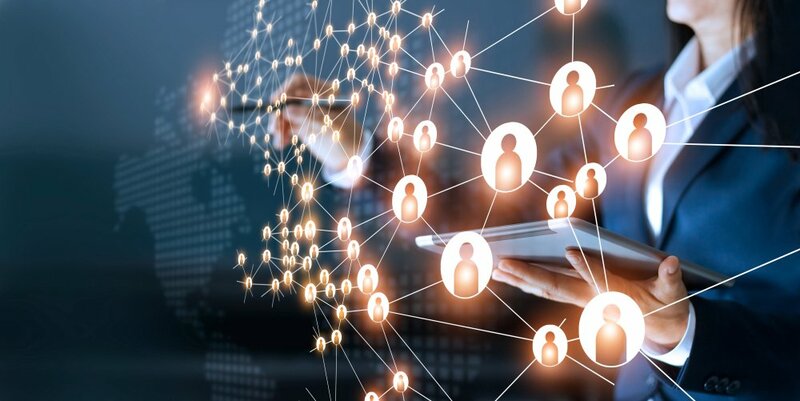 LinkedIn’s most valuable attribute is its fundamental role in expanding networks, allowing diverse professionals from all over the world to connect with one another and to add and classify contacts under one cloud. LinkedIn becomes your one-stop shop for everyone in your network, which will make you more productive as you no longer need to waste time searching for the contact details of someone you want to email. LinkedIn keeps your list of contacts’ information fresh and up to date. If you’re still keeping track of your connections through their email addresses, your list becomes void as soon as a connection moves from one company to another and gets a new email. To make LinkedIn your primary contact management system and use its benefits to their full extent, you must add new members as soon as you meet them. The best way to add people to your network on LinkedIn is to do so immediately upon meeting them. How do you achieve this? With the relatively unknown and underutilized LinkedIn QR code. Collecting business cards the old fashion way is unproductive and frankly, quite inefficient as well. If you’re like most people, these cards will likely pile up on your desk until you have long forgotten all about the people they actually belong to. So, next time you’re at a networking event, on a business trip or at a work conference, let people add you as a connection as soon as you meet them with the LinkedIn QR code. This new LinkedIn feature lets you share your unique QR code (everyone on LinkedIn has a unique code) with those you meet offline so they can quickly add you as a connection on LinkedIn in real time. It’s great because it makes connecting with people really easy and efficient. And as an added bonus, when you use your LinkedIn QR code, you demonstrate just how digitally savvy you are – and come across as “innovative” in the mind of your new contact. They say an image is worth a thousand words. To make more use of your unique QR code, add it to your business cards, your personal bio, your email signature and any other relevant sales and communication tools, making it hassle free for people to connect with you on LinkedIn. Then sit back and see how your network will continuously grow. To find out how to use your QR code on iOS and Android click here. You’ve connected on LinkedIn. Now what? Once new connections are made, ALWAYS follow up with a personal thank you note. In your first message, don’t immediately try to sell them something or ask them to like your Facebook page. Just thank them for accepting to connect and maybe add something personal about your meeting or your shared experiences and common interests. Even though LinkedIn is a digital networking facilitator, building relationships the old-fashioned way is still very much appreciated and will get you a long way.